Select the compensation program below to view current rates. Historical rates are linked from the current rates page, as well. The amount of basic benefit paid ranges, depending on how disabled you are. VA makes a determination about the severity of your disability based on the evidence you submit as part of your claim, or that VA obtains from your military records. VA rates disability from 0% to 100% in 10% increments (e.g. 10%, 20%, 30% etc.). See the Combined Ratings section below for information about how VA calculates disability percentage for multiple disabilities. 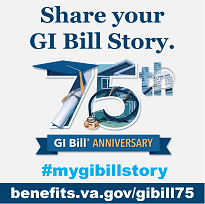 Periodically, VA makes cost-of-living adjustments (COLAs) to VA compensation and pension benefits to ensure that the purchasing power of VA benefits is not eroded by inflation. Under federal law, the cost-of-living adjustments to VA's compensation and pension rates are the same percentage as for Social Security benefits. You can learn more about COLA's on the Social Security Administration's COLA webpage. If VA finds that a Veteran has multiple disabilities, VA uses the Combined Ratings Table below to calculate a combined disability rating. Disability ratings are not additive, meaning that if a Veteran has one disability rated 60% and a second disability 20%, the combined rating is not 80%. This is because subsequent disability ratings are applied to an already disabled Veteran, so the 20% disability is applied to a Veteran who is already 60% disabled. Below you will find the steps VA takes to combine ratings for more than one disability and examples using the Combined Ratings Table to illustrate how combined ratings are calculated. If a Veteran has a 50 percent disability and a 30 percent disability, the combined value will be found to be 65 percent, but the 65 percent must be converted to 70 percent to represent the final degree of disability. Similarly, with a disability of 40 percent, and another disability of 20 percent, the combined value is found to be 52 percent, but the 52 percent must be converted to the nearest degree divisible by 10, which is 50 percent. If there are three disabilities ratable at 60 percent, 40 percent, and 20 percent, respectively, the combined value for the first two will be found opposite 60 and under 40 and is 76 percent. This 76 will be found in the left column, then the 20 rating in the top row. The intersection of these two ratings is 81. Thus, the final rating will be rounded to 80%.